Announcement Vintage jewelry, toys, books, magazines, paper ephemera, dishes and other beautiful houseware items! Vintage jewelry, toys, books, magazines, paper ephemera, dishes and other beautiful houseware items! Great plate. Fast shipping. Excellent quality. I'm adding more children's books to my vintage shop. 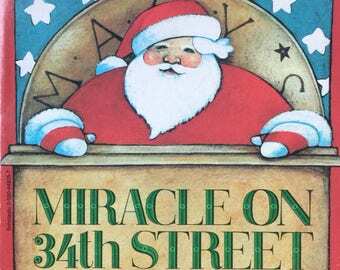 Miracle on 34th Street is a great classic for your classroom, home library or vintage nursery! Tupperware Zoo It Yourself toys! These will make a great Christmas gift or vintage nursery decor. When my oldest two children went off to college, I found our single income budget insufficient. But as a homeschool mom with another child still at home and my husband's erratic work schedule, working outside the home was not a possibility. I was inspired by the prophet Elisha in 2 Kings 4. He asked the widow who was in great need of making some money, "What do you have in the house?" I discovered that I had plently of vintage items looking for a new home. And that was the beginning of Ellie Marie Vintage. Hello! I'm Karen. Welcome to Ellie Marie Vintage.